Fast- uprising young Ghanaian-Swiss actress Lina Prior has made mother Ghana proud at the just ended ‘The Celebrity Experience’ at Universal Studio in Hollywood, Los Angeles. The natural born talent was awarded ‘TCE Best Kid Commercial Look’ during the awards night for her excellent performance in the 7-day talent program. The ‘Celebrity Experience’ is an exclusive interactive program that occurs over five days in various locations around the world. During this incredible experience, they provide tools for success and opportunities for young performers to work in-person with celebrities and experience what it means to work in the entertainment industry at first hand. The Celebrity Experience also unites performers with Hollywood and international TV and Film stars. Where every performer is able to see from an inside perspective what it means to work in the entertainment industry. Aspiring actors gain valuable real-life experience by performing with celebrities, shooting scenes in a movie studio with a full crew and a Hollywood director while creating a reel of their work which is a rare and unique opportunity for aspiring performers. The ability to present a body of work in their reel, done in cooperation with real celebrities, provides a unique advantage to stand out from the crowd. Actors are taught to think like business professionals at a young age and perform in front of large audiences which help the young performer blossom. 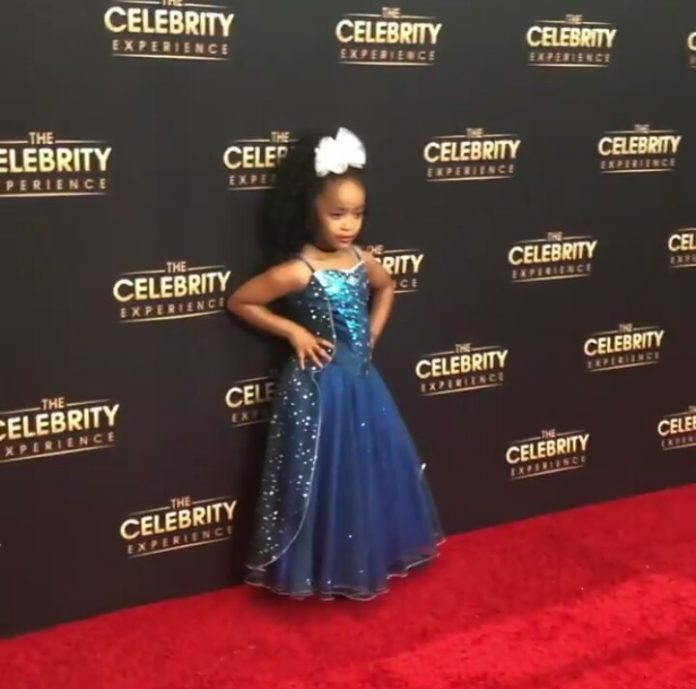 Lina’s name first came to the limelight when she got a lead role in TCE UK edition at the age of 4 and another lead role in TCE LA at the age of five.